Business growth planning is very different to business planning, and far more beneficial for growing your business fast. It’s focused on doubling your net profit, but without needing to double your sales and income. Our unique business growth plan process is where we discuss your dreams for your life, set very accurate, detailed goals for your business and then carefully choose the best strategies to execute, to achieve all those dreams and goals. In traditional business planning, the goals are more of a ‘wish list’ and strategies are thought about last, not selected as the means to achieve the goals with specific increases identified from each strategy. Plus, a business plan is more lead generation and revenue focused, not net profit margin focused. 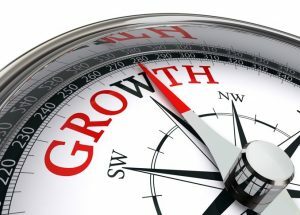 Is a Business Growth Plan Right for Your Business? If your business is experiencing slow or negative growth, or has low profitability, or you’d just like to double your net profit in the next few months there are definitely strategies that you can use to achieve that in a matter of weeks or months. These strategies will definitely be identified in your own business growth plan. There’s so much more to growing a business than just lead generation. In fact, clients have added hundreds of thousands to their income and net profit – without even considering a lead generation strategy, simply because other types of strategies can be much more effective. And this is all discussed in our business growth planning process. You can put an end to struggle and guesswork with growing your business, and putting up with slow or negative growth. You can stop ‘trying‘ strategies to increase your cash in the bank and put all that stress behind you once and for all permanently . Every business can double its net profit in 4 to 12 months, when the best strategies are identified and expertly implemented. A Business Growth Plan is great for your business if you are a solo operator, or if you want total clarity and great confidence with knowing what strategies are right to grow your business. A lot of our solo operators actually do double their net profit in just a few months as a direct result of their plan. That’s makes it a phenomenal ROI investment. When your needs extend beyond increasing leads, sales and revenue then our Solopreneur Business Acceleration Course and Academy of Business Mastery Course are far better suited to your needs. When you invest in our business growth plan, you will be accessing information gained from over 20,000 hours of research, execution and measuring during 27 years in over 1,000 businesses. That information has power, to transform not just businesses, but business owners lives. Your own Business Growth Plan is the final step of a process beginning with a 4-hour Strategy Planning Meeting where extremely specific goals are set by looking at up to 7 “growth drivers” that all businesses must use to increase income and profit. The Strategy Planning Meeting is where it all begins. This is where you talk one on one with Tim Stokes, a business growth expert to set accurate goals for 3, 6, 9, 12 and 24 months and then looks at specific tasks and strategies necessary to achieve those goals. Every business growth plan is unique to a business and includes the specific strategies necessary to DOUBLE business net profits in months. With 27 years of research, application and measuring of every single strategy implemented in 1,000+ clients’ businesses, its now become quite easy to achieve the double your profits outcome. During the 4 hour Strategy Planning Meeting conducted online in a video meeting (if you aren’t near South East QLD), every strategy you’ve tried will be discussed and reviewed. This is because often a strategy has failed, not because of the choice to use it, but simply due to poor execution of it. During the Strategy Planning Meeting a special Business Growth Calculator tool and Automatic Marketing Planner tool will be shown to you, with 142 proven strategies listed. The 142 strategies are the ones that have been proven to work so that way no guesswork is involved. Each one has specific application criteria, which can be then matched to your exact business/industry type so that matching them to your business is easy. The potential increase, in terms of real numbers for revenue and net profit increase will all be given to you and discussed using the Business Growth Calculator tool. This tool amazes business owners when they see how easily their goals can be achieved and what their business’ true profit potential is. Your own Business Growth Plan is a collection of the best 12 strategies to increase your net profit and revenue to achieve your business goals. The 12 strategies are listed in priority order and explained, starting with the best and most powerful ones that will create the fastest and biggest results. Often clients can implement one or two strategies from the plan, and see 50% increase in net profit in weeks or months! A fly fishing training business (with $800/week revenue) doubled it’s revenue in two weeks thanks to implementing just the first strategy in the plan, while a wholesale timber fencing company jumped its’ sales from $60,000/month to $140,000/month (the next month) thanks to one strategy identified in the Strategy Planning Meeting. A solo operator computer repair business tripled his business net profit in 4 months. These are a few of our many results with our Business Growth Plan service. Contact us to discuss the potential of a Business Growth Plan for your business – its free with no obligation. Or alternatively, you’re welcome to book a Breakthrough Session where you can discuss your business needs, situation, and goals to identify what service suits your business best to begin the rapid improvement of your business. The session is cost and obligation free. Find a convenient day and time by clicking below to organise a friendly chat about your business and its true potential for rapid growth.